People often ask me what eye makeup works best with what colored lenses or what colored eyes. 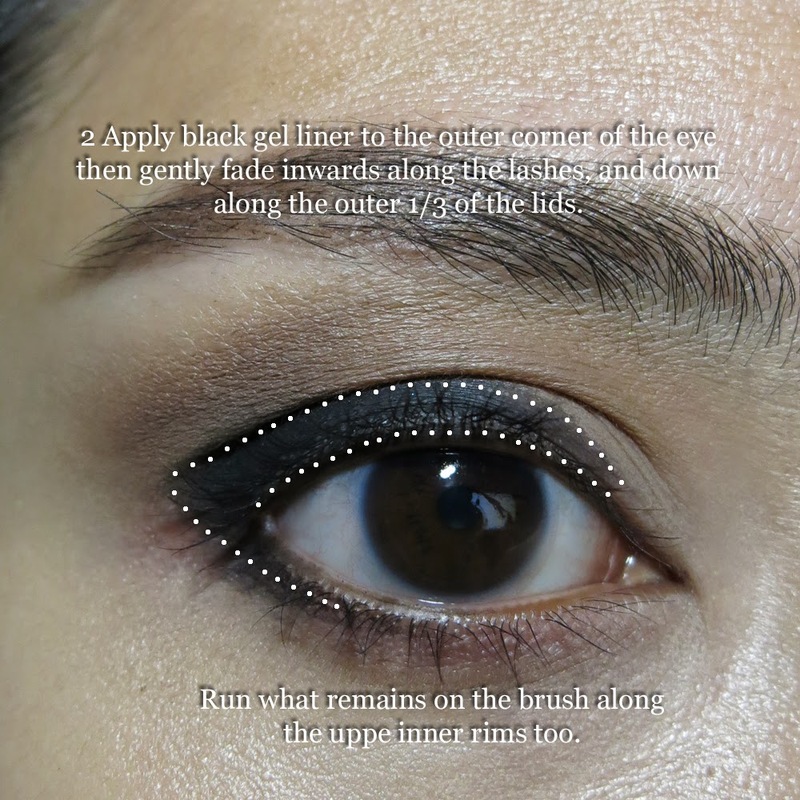 I personally don't believe in setting rules because as long as you're wearing black liner and mascara, there is often enough of a contrast that your irises will stand out anyway. There's also the other question of color theory. 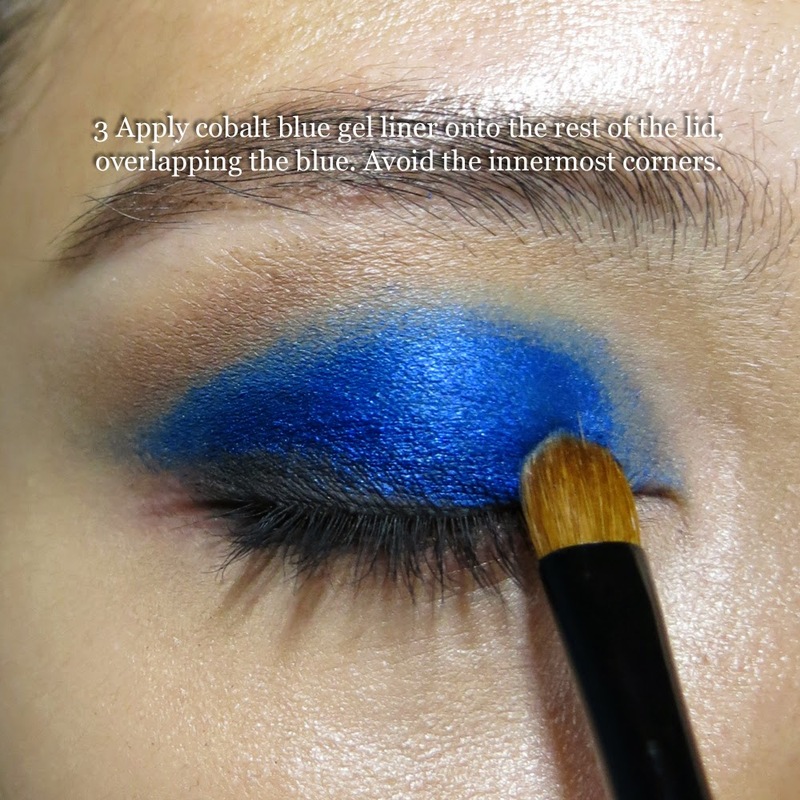 We are told by magazines and beauty writers that if you have blue eyes, you should never wear blue eyeshadow. That only coppery browns and other warm golden tones will bring out your eye color. 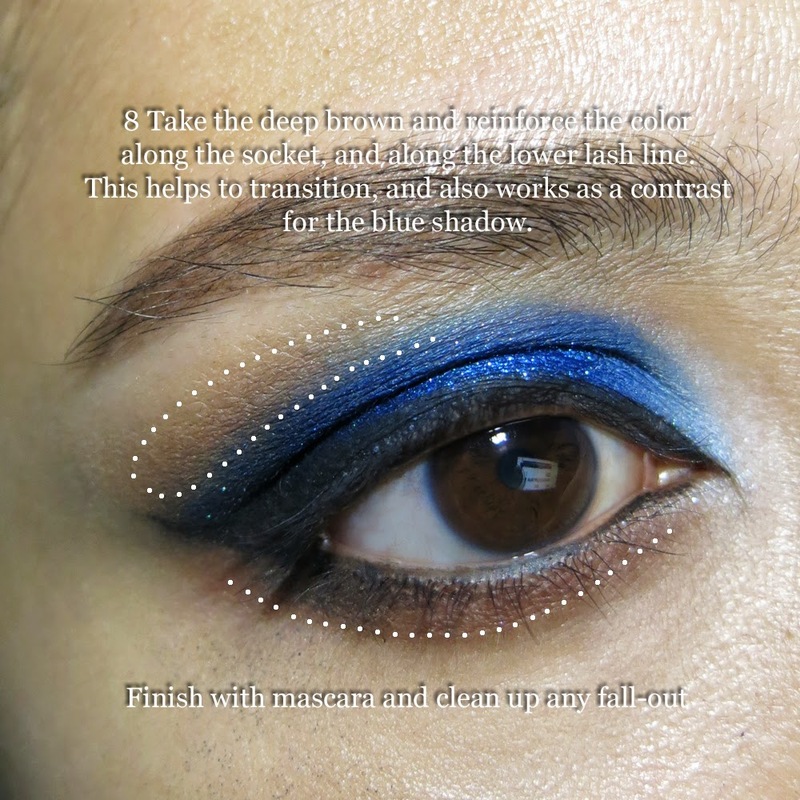 you have some black liner and mascara around the lash line to "separate" the shadow from your eyes. This helps both the shadow and your iris to stand out. the limbal ring around the outside of your iris (or your lens) is quite dark/defined. 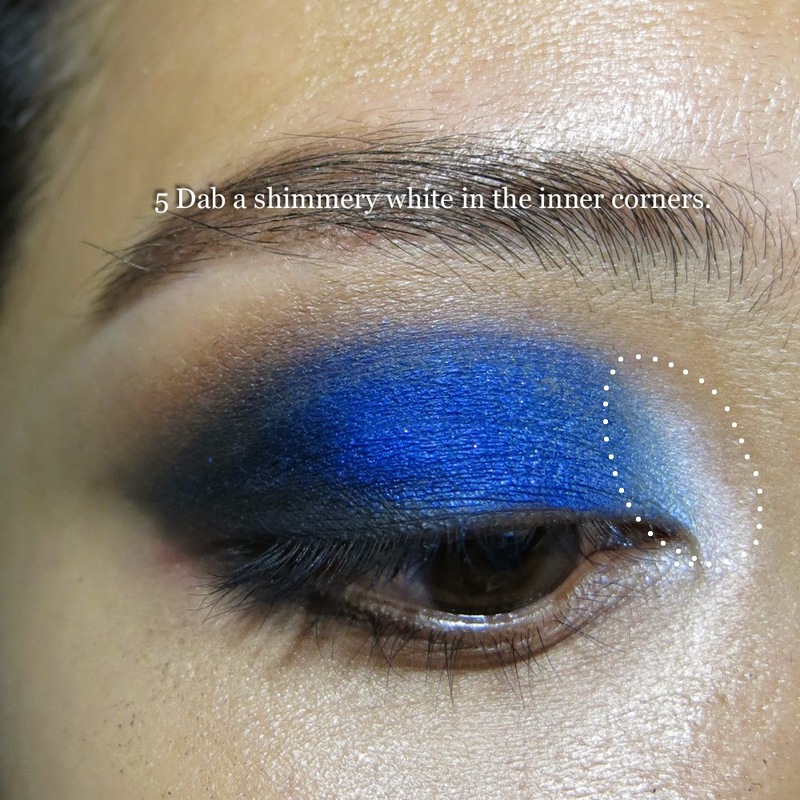 This creates definition, and makes the color pop more than someone whose iris is very pale through and through. But ultimately - who wants to stick with one color group for their entire life just because someone said "it will bring out your eyes"? What if it doesn't work with your hair color, your skin tone, your lipstick, your outfit choice? 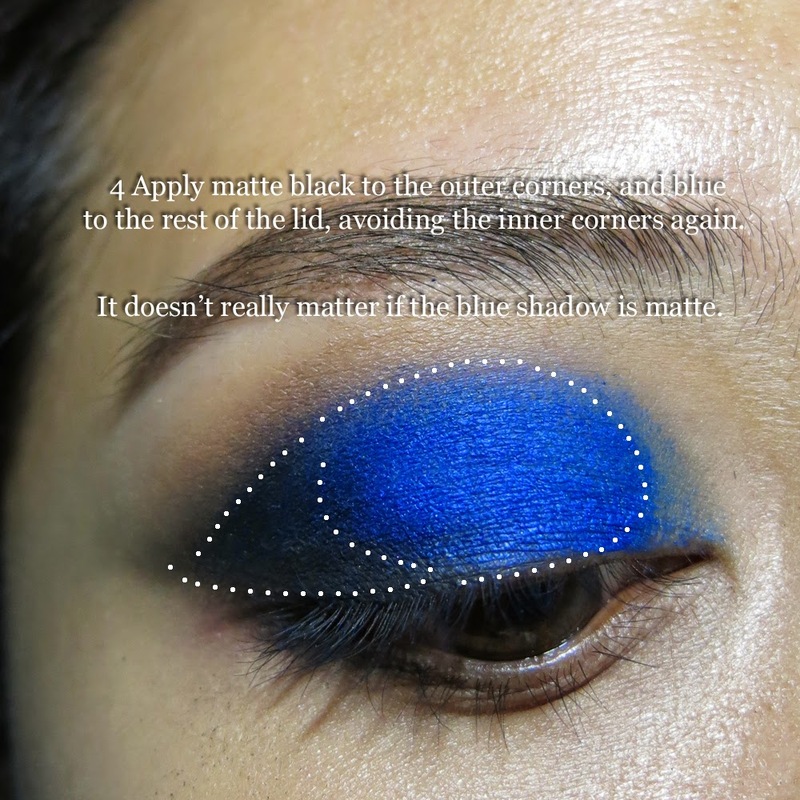 Will you wear a shadow that looks terrible JUST because it makes your eye color pop? Don't listen to those clichés, my dears. 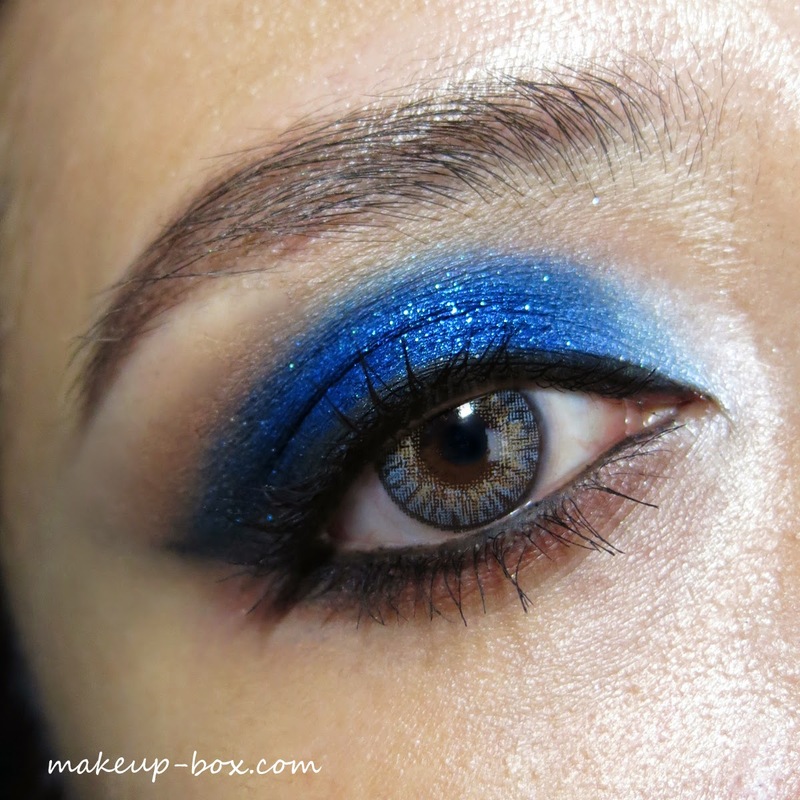 Your eye color should never be the sole deciding factor dictating what eyeshadows you can or cannot wear. That said and done, I personally prefer natural eyes, just because most lenses tend to slide around a bit and don't stay perfectly centered all the time. When the "pupils" aren't exactly in the right place on both sides, your eyes look off-focus, and you get that glazed, lazy-eyed "zombie" expression. Of course, when it works, it really looks good too. You decide! 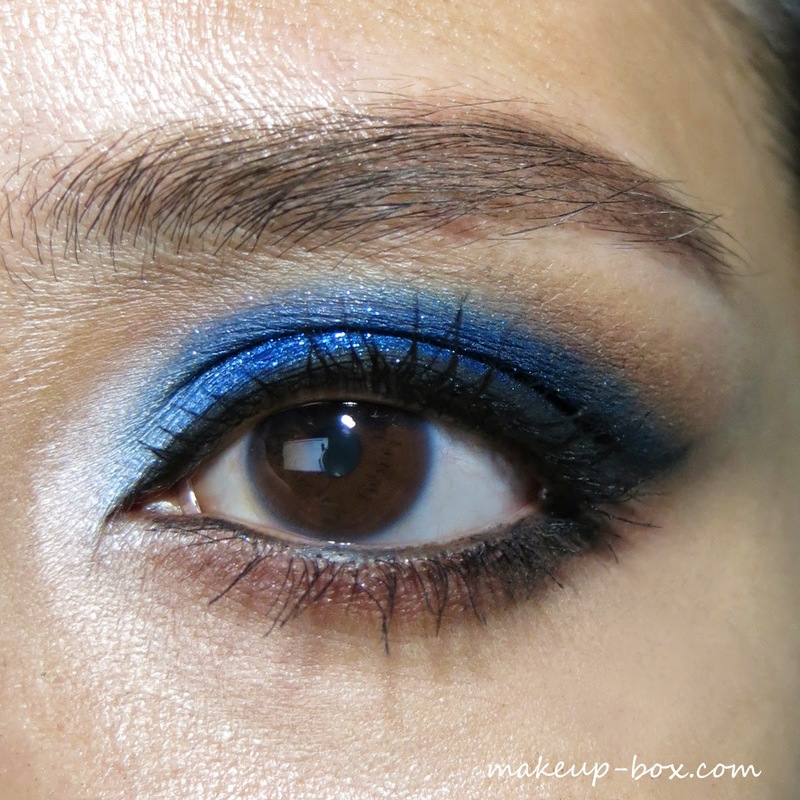 The look I have here was done with few key items from INGLOT's limited edition Mamma Mia collection. Don't get me started on the name and the packaging because I really don't see how these edgy pop-art colors are related to Mamma Mia in any way. But if you love bright strong colors and looks, this is a collection you should check out. Weird packaging aside, they have a 10 color palette featuring an entire RAINBOW of shades. I have it below, placed next to my own custom palette with neutrals and mauve tones. The shades I used are marked out. 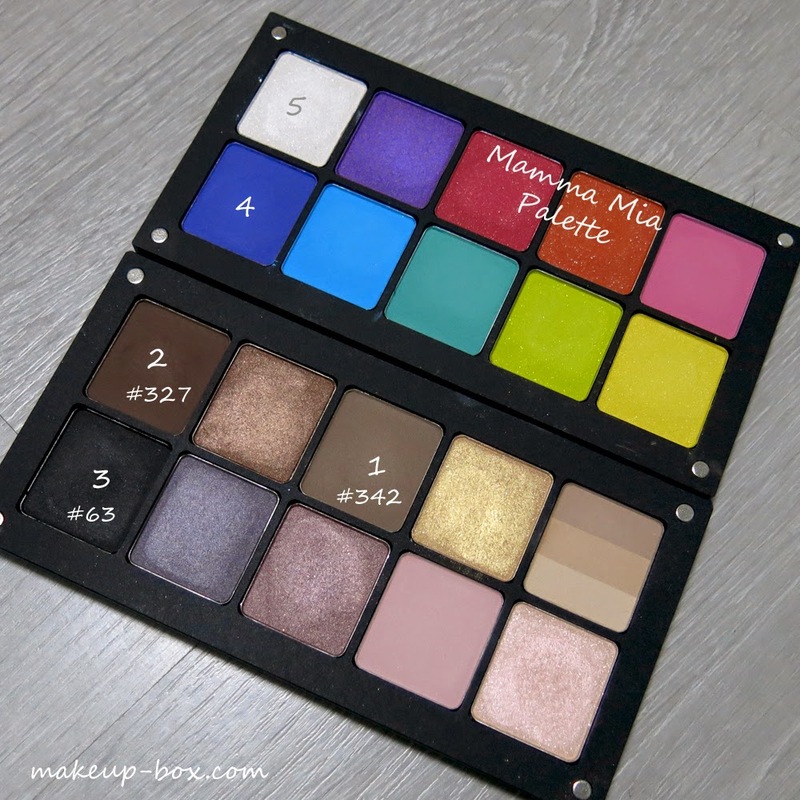 I don't have the numbers for the Mamma Mia palette, but you can look for similar ones in the regular range. 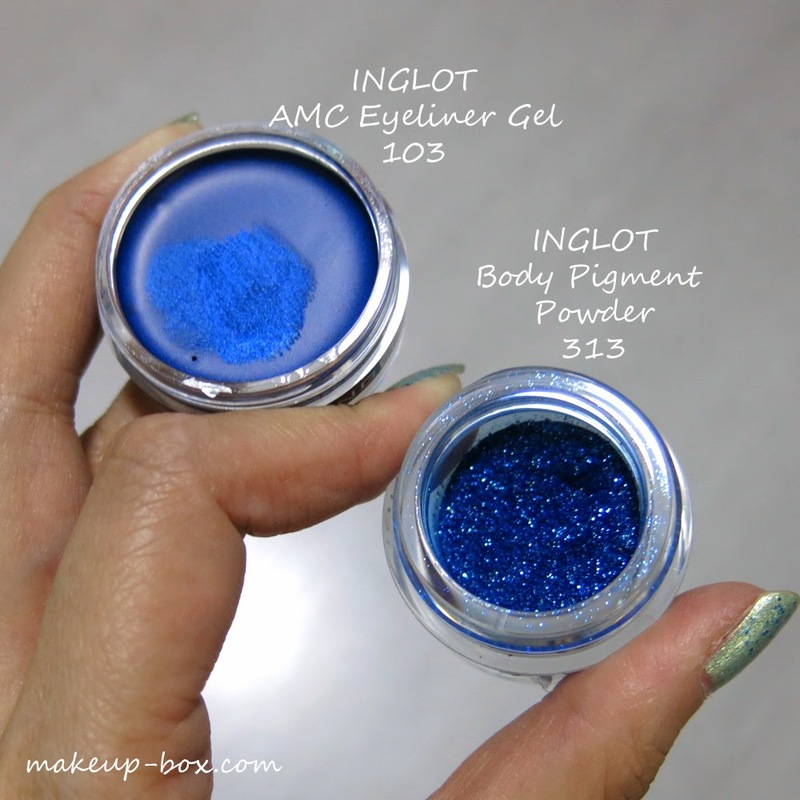 Another 2 key items you have to check out would be the AMC Eyeliner Gel in 103, also from the collection. 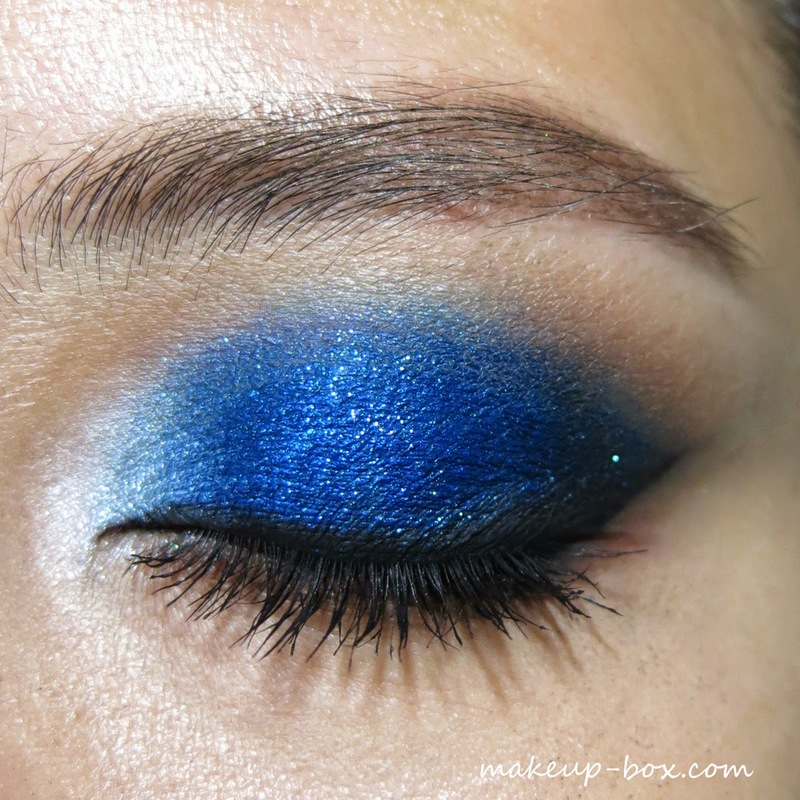 This is a vibrant metallic blue that's the cream version of MAC's Freshwater shadow. I.e. royal blue perfection. 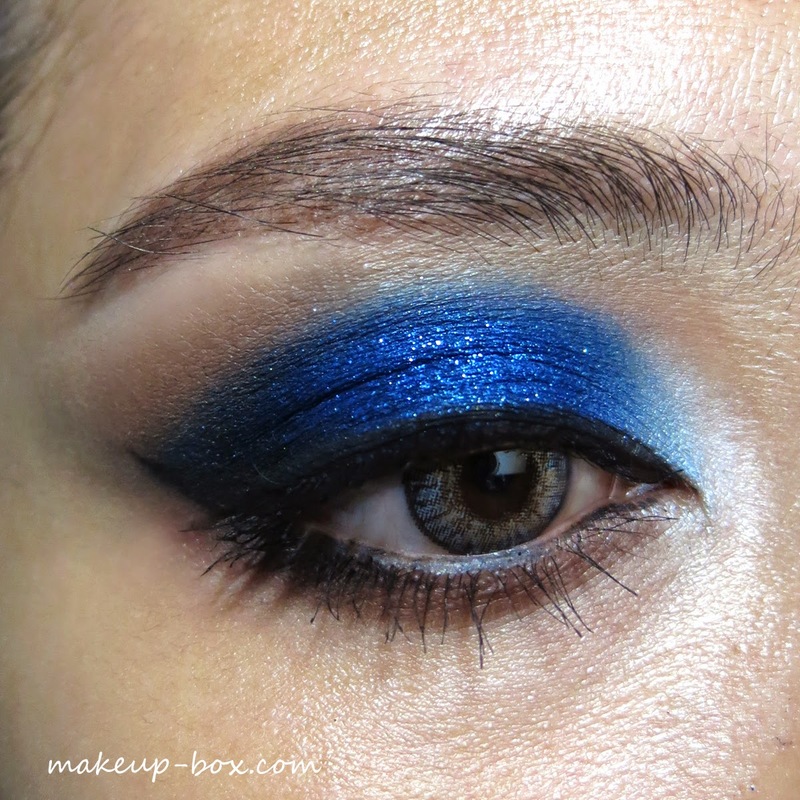 And that Body Pigment Powder 313 is a deep rich sparkly cobalt to die for. I'm going to be layering all these things today. Steps are all listed below, and you can click to expand to full size if you want! I do want to remind you - there WILL be a lot of fallout as we're working with dark shades and loose pigments. 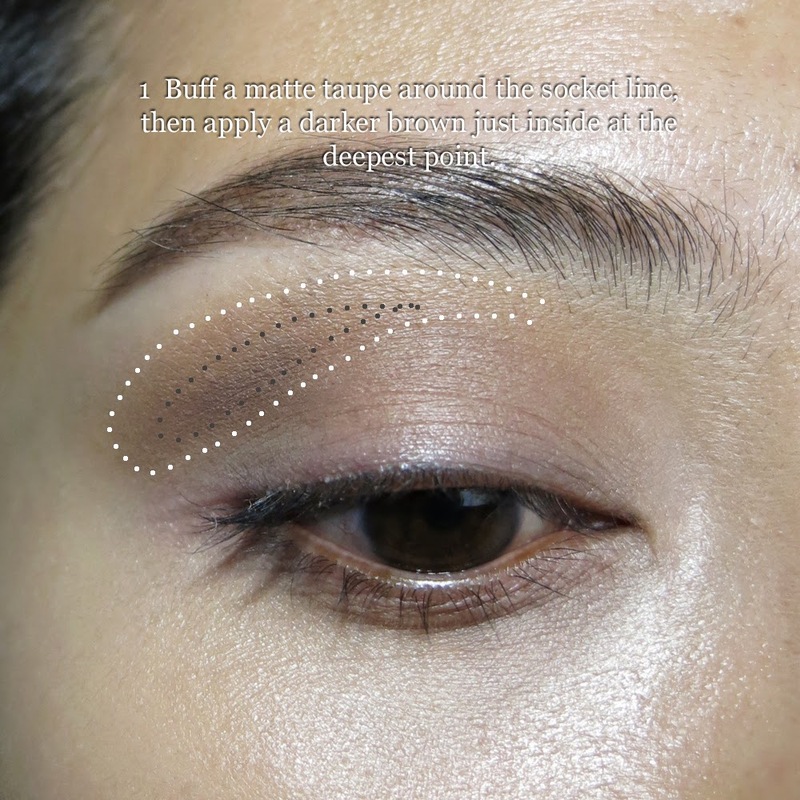 If you don't want to make a mess, make sure you do your foundation and concealer AFTER you finish your eye makeup. 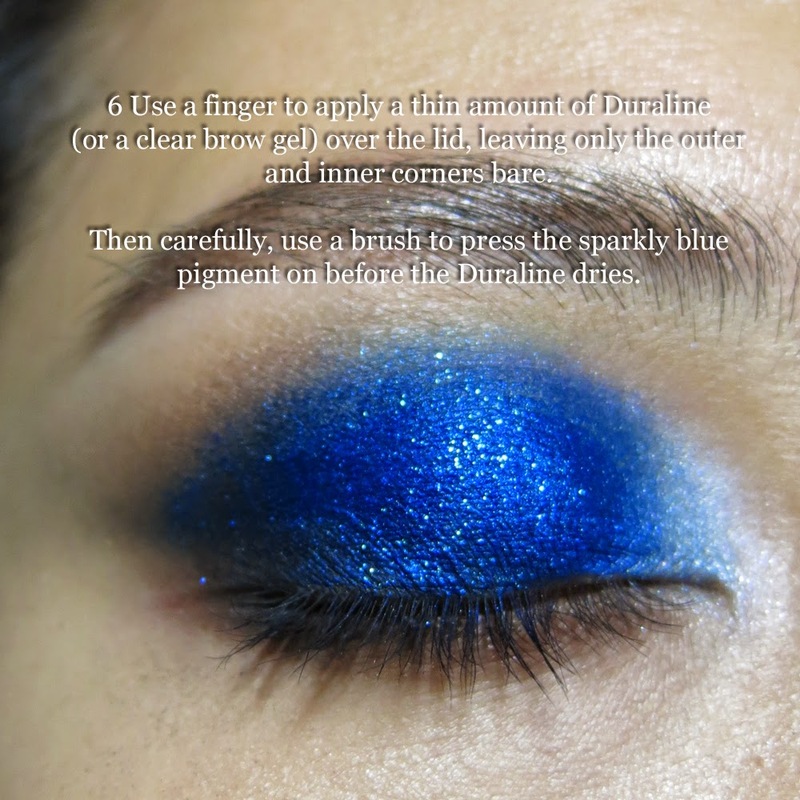 INGLOT Duraline is one of my favorite products of all time. 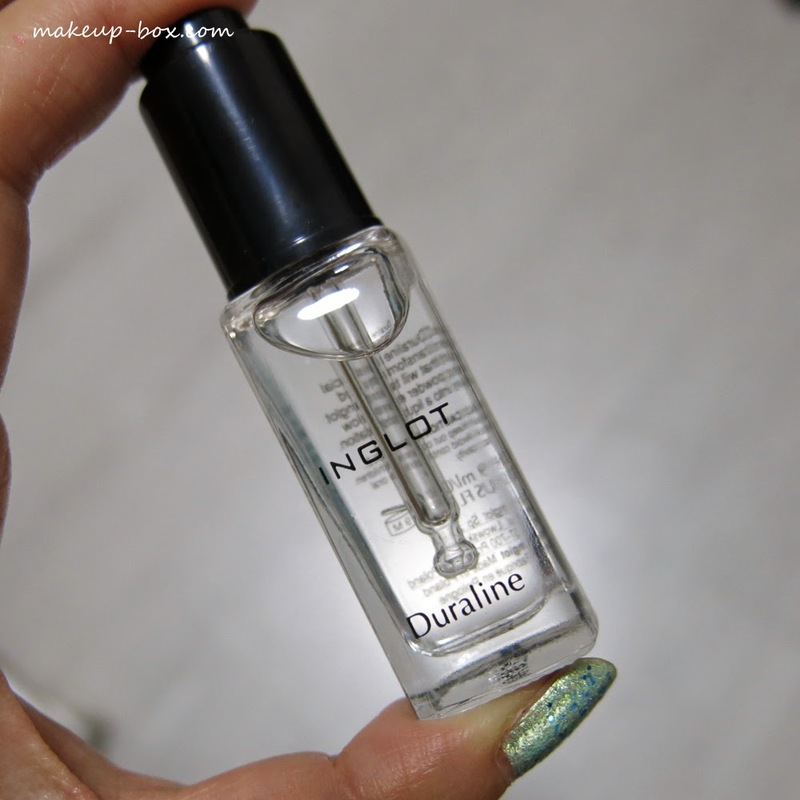 It's a sealant/converter that turns glitters and pigments into a cream. But it's not watery; it has a dry oil-like feel so you get enough time to blend and smooth things around, before it sets and locks down for the rest of the day. Tip: Press on the first coat of sparkly pigment first, let set, then go over with another coat. The first layer sinks into the liquid and grabs, so it's never as shiny. The second coat will give you maximum sparkle. I used Bobbi Browns' Black Ink gel liner here. cheap ray ban sunglasses uk cheap cheap ray bans uk stop action, and looked around and asked where it was, how all cheap ray ban sunglasses uk around the white, empty, seems to have infinite space, an cheap ray ban sunglasses uk oasis of snow in general. Standing here, cheap ray ban sunglasses uk in addition to no longer hear cheap ray ban sunglasses uk the sound of his own voice, in addition to striking white, no color.